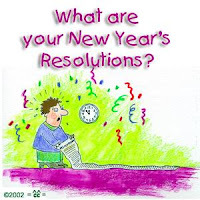 ::: Fiona's Stuff :::: Do you have a New Year's Resolution? Do you have a New Year's Resolution? 15 years ago I had a list of those and I never really got to do most of it. In 10 resolutions, I would be able to do 2. Hahahaha! So I changed my habit. Instead of creating resolutions I never resolve, I create GOALS. I feel goal setting is more positive and results-oriented (duhh?). I was able to do everything. I don't know why I can't duplicate this feat? I still have a couple of goals in mind but because of some set-backs I have to set aside the goal setting activity for next week.